What you really want is love. Things we call ‘attachments’ are only placeholders that parts of hold onto as love until something better shows up. Who can blame parts of us for doing that. We are made for love. A child being only willing to eat french fries and chicken nuggets is because he found love and comfort in them and they landed in a place that only feels like the absence of love. As adults, so much of our routines in habit, diet, feeling states, relationships that we keep or don’t keep, are all so full of these ‘attachments’. Another part of us that we all have until they are felt and healed is an Inner Punisher, and this part is connected to another part of us that holds deep shame. This sets up a punishment-shame cycle dynamic that is meant to protect us and keep us safe which is hard to grasp at first begging the question of ‘why would we do such barbaric things to ourselves in the name of safety?’ The simple answer is that in our subconscious we hold deep memory of feeling love’s absence and a deep culture shock from when we first landed here in the human domain, and felt how non-heart-resonant the hearts of our caregivers were. Now, it’s up to us to feel how so much self-improvement and problem fixing energy in our lives is actually the problem, not any kind of solution. You are not a broken person needing fixing. You are a profoundly beautiful being made of love and by love and are coming to terms with the love that you are. Part of this acclimatization to love is your willingness as a soul to come to a place that feels like ‘not-love’ in order to afford you an awakening process to the love that you are as a profound soul growth. Your existence and the essence of your being is so much more than than what you and I know and feel in the 3rd dimensional reality of time and space here on Gaia. So, instead of running yourself through the ringer with feeling and trying to change a persistent negative and harmful pattern or behaviour, what about instead feeling the part of you who needs that pattern or behaviour and why they do? What about getting to know this magical part of you stuck in their french fry and mcnuggett world? They are your portal into the more that you are and are longing to feel and be. They are ‘attached’ to what they know and feel as love. It’s up to you and I to lead with something more, rather than substituting one attachment for another. “What’s in your ‘Leena Dome’ today?” Archangel Metatron asked me once during meditation. Immediately I realized what he was talking about was the bubble I was forming around myself now, creating a sacred space that is all mine to claim and is the place of refuge and healing I go to often without consciously realizing it. It is a container for me that is all about me and all about love. He had me look at an array of choices hanging in the air like suspended paintings above me. They were all images of places I could go in my meditation. I could walk through a doorway or portal into a specific process I’ve been holding, or I could visit the Akashic Library, or I could go to a sweet place to just be and be loved… I’m sure there were more choices than that on that day, but these are the ones I remember. Today I learned more about my Leena Dome while introducing it to a soul aspect-part of me that I am now working with. My objective for today was to help raise her vibration and re-introduce her to love – a process that we began this weekend, on our won and in a SoulFullHeart group circle yesterday. This is important for the work we will be doing together, which will involve a few dark soul memories she holds and still lives in. It felt very important to establish this sacred space of love and refuge with her today before going there. Otherwise it can be easy to fuse to only the darkness of it and not really move through and begin healing it as easily as when we are fueled and accompanied by love. We were both struck by the beauty of my Leena Dome… the far reaches it extended to and the comfort and love in it all. I feel like I have been cultivating and building this inside me for a very long time and it does feel as if it represents a bigger me that can contain and create all of this magic. Today Metatron invited me to share this with you. He and I both feel want to invite you to begin to feel the sphere or dome of YOU that will be and is so unique to you… your heart and soul and epicness. Let your imagination and portal into your creativity FLY! Love. It’s what we are all here to give and receive. When we think of love we immediately and instinctively think of something or someone outside our self. A love of art, music, or country. Or the love of a family member, a close friend, or intimate partner. All outside the realm of our own being. But what of the love we seldom hear about? The love of our own heart, our own soul, our own self. We have not been taught that this is where true love actually starts. And by love of self, I do not refer to confidence or self-esteem. These arise naturally and organically with authentic self-love. Confidence and self-esteem feel more like false prop-ups to get us through the days, weeks, or months. Please do not infer that I do not believe in building self-esteem. Rather I suggest it is just a step in the direction of real self-worth and acceptance. I encourage all to not stop there. 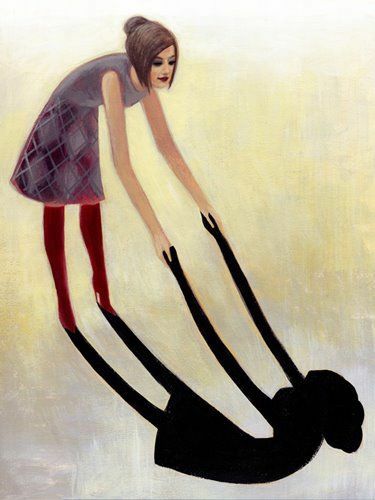 True self-love is recognizing our shadow, accepting that it is a part of us, and listening to what it has to say. The conversation may be difficult and very hard to hear. However, when you allow it space to speak its truth, you have given it something it never had been given before…love. We hide our shadow. We ignore it, medicate it, or sometimes hate it. It has only wanted to be heard and felt. It doesn’t exist to destroy. It is actually there to create. Create a You that you never knew existed. It may not feel like it from their initial words to you, but over time you will find that it has loved you more than you ever thought anyone on this planet ever has. It just hasn’t been able to express itself in a healthy way. It didn’t have a You there to talk to. Through my SoulFullHeart process I have been led to this shadow part of myself. Through my arising authentic, sacred Self or SoulFullHeart Self, I have been able to hold space for it. Listen to it and not be afraid of it. It is through this work that I find myself in the midst of not only being aware of my own heart, but taking the time to feel it, listen to it, and love it as I would my own child. The rewards are far greater than the price I paid to get here. When you feel it for the first time, like I have, you wonder how you ever got along without it. Sequoia Heartman is an apprentice facilitator of the SoulFullHeart Way Of Life. Visit soulfullheartwayoflife.com for more.